Earlier this year, I was challenged to design some fresh new kicks for the dance crew “12ASCALS.” Being that they’d be wearing it on a large platform, “NBCS WORLD OF DANCE,” I tried to push the envelope and create a point of difference. I took the Vans Old Skool Prison Issue and added some of the crews DNA to it. 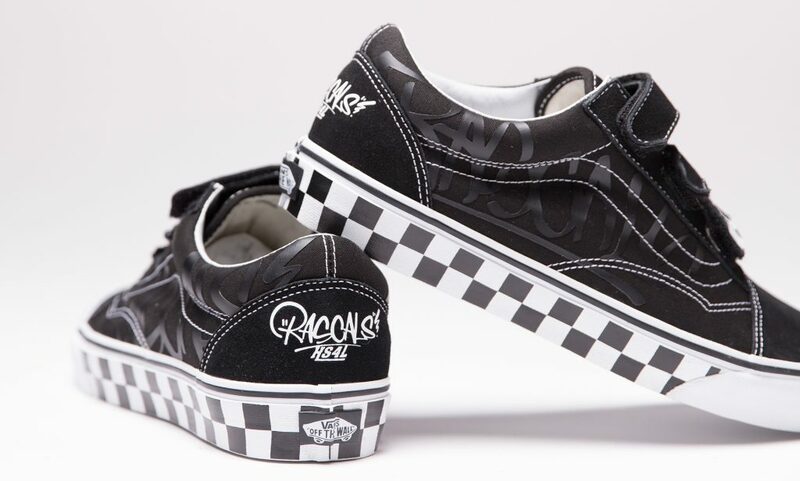 With a checkerboard velcro strap, some high density branding, the crews logo on the heel and the members names on the sock liner, this shoe had all the bells and whistles. With that being said, be sure to watch this season of World of Dance on NBC. I’m not sure what episodes the crew will be on, but the show premiers Tuesday May 29th. Be sure to keep an eye out for these shoes, and check back in a few days, as I’ll be telling their story and as well as my personal connection to the crew. © 2018 NEWKON. All Rights Reserved.